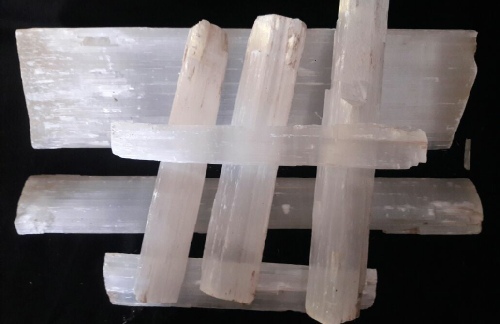 We are experienced company offering Morocco selenite for sale , based in Midelt ,Morocco. 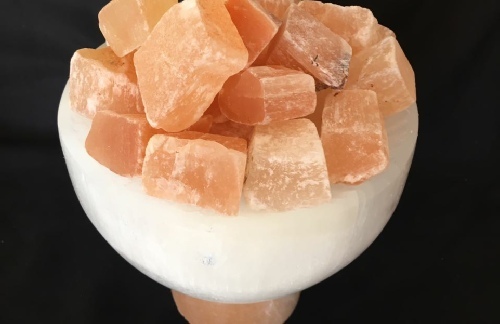 MOROCCO SELENITE is a company that specializes in wholesale selling mineral products from Morocco including Morocco selenite lams , Selenite candle holders ,Natural selenite and polished selenite. 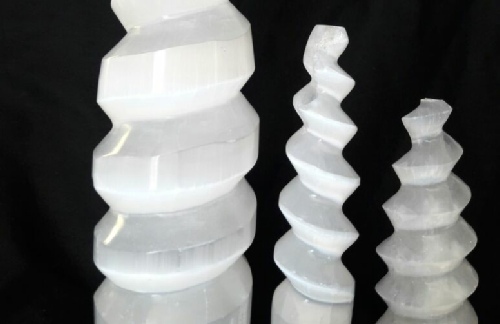 Our products are diverse and beautiful and there are many types of selenite products, of various shapes and sizes. 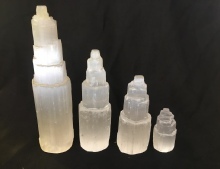 Contact us for more information about your desired Morocco Wholesale Selenite products. 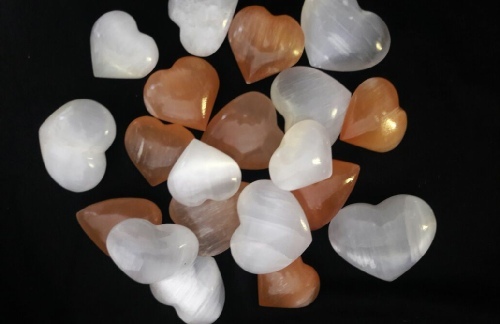 Selenite contains no significant selenium; the similarity of names comes from both substances being named from the Ancient Greek word for the Moon. 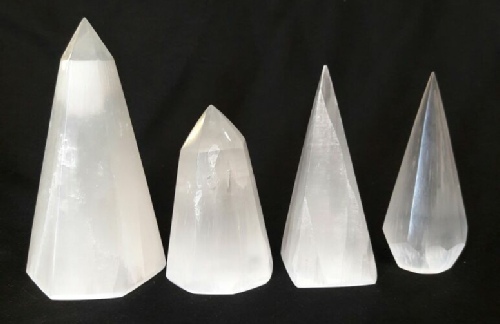 The etymology of selenite is through Middle English selinete, from Latin Selenite, from Greek selēnitēs (lithos), literally, moonstone or stone of the moon, from selēnē (Moon). 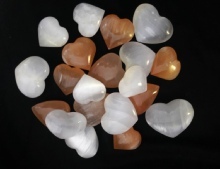 The ancients had a belief that certain transparent crystals waxed and waned with the moon. 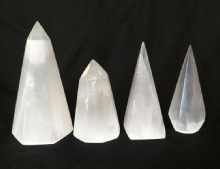 From the 15th century, "selenite" has referred specifically to the variety of gypsum that occurs in transparent crystals or crystalline masses. In some rare instances, water was encased as a fluid inclusion when the crystal formed. 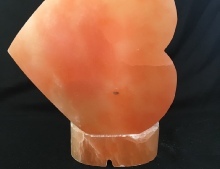 Selenite crystals sometimes will also exhibit bladed rosette habit (usually transparent and like desert roses) often with accompanying transparent, columnar crystals. 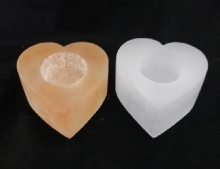 Selenite crystals can be found both attached to a matrix or base rock, but can commonly be found as entire free-floating crystals, often in clay beds. 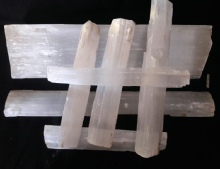 Satin spar is almost always prismatic and fibrous in a parallel crystal habit. Satin spar often occurs in seams, some of them quite long, and is often attached to a matrix or base rock. Most often transparent and colorless: it is named after Greek σεληνη= "the moon". 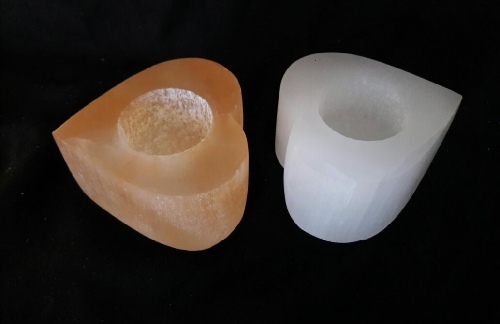 If selenite crystals show translucency, opacity, and/or color, it is caused by the presence of other minerals, sometimes in druse.